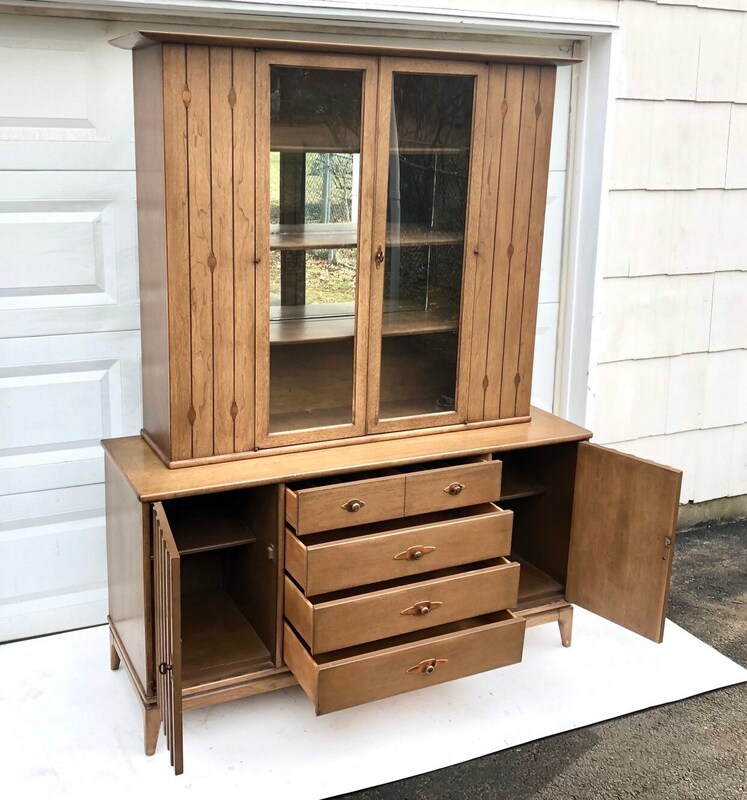 This striking mid-century modern sideboard features natural wood grain finish complimented by atomic style metal inlays and matching drawer and door pulls. 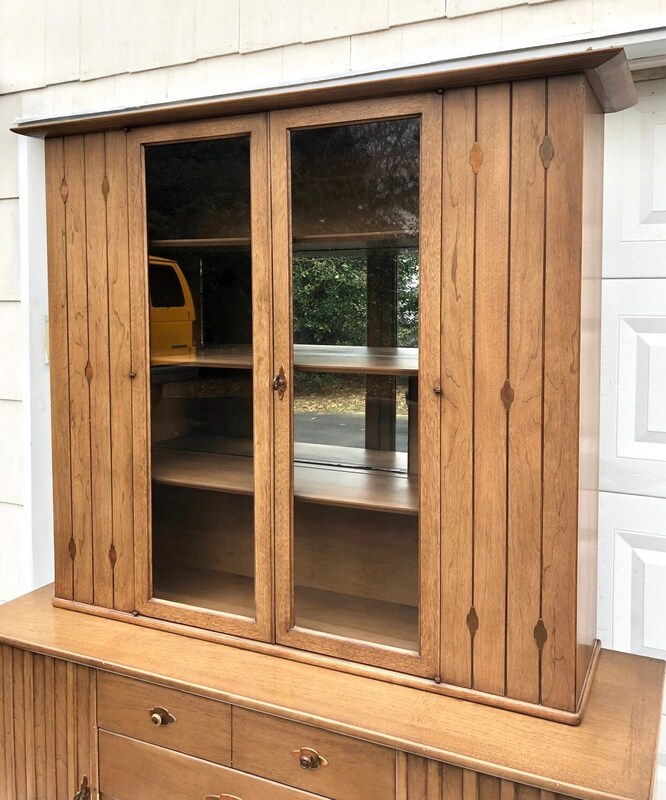 Offering a mix of display and storage space this spacious vintage China cabinet offers backlighting and easy access. 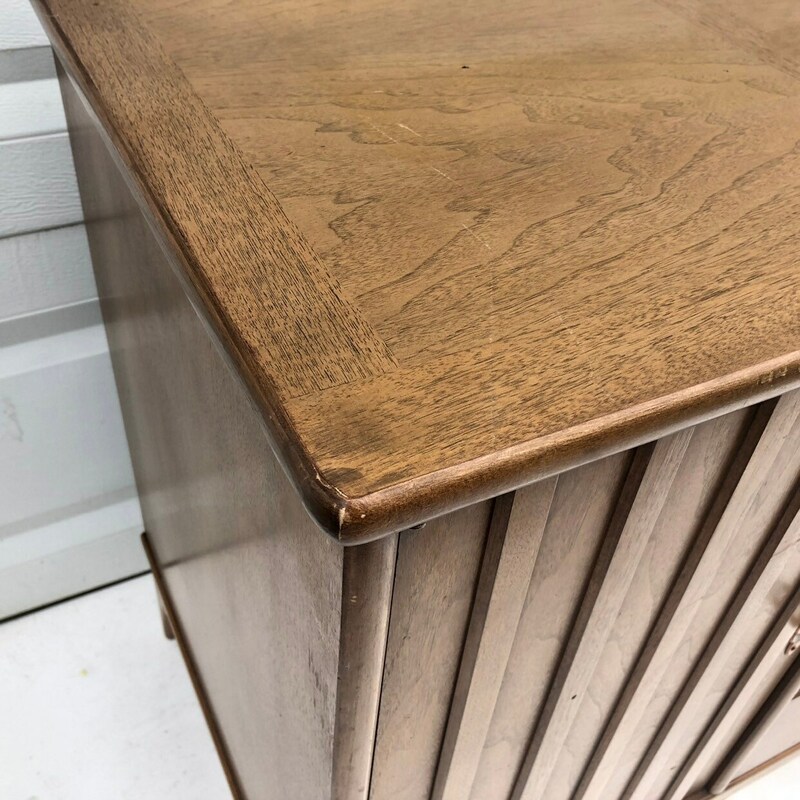 Tapered legs and clean modern lines make this an impressive centerpiece for any dining room or living room display- previous (and original) owners added lighting down the left interior of the cabinet to enhance display. 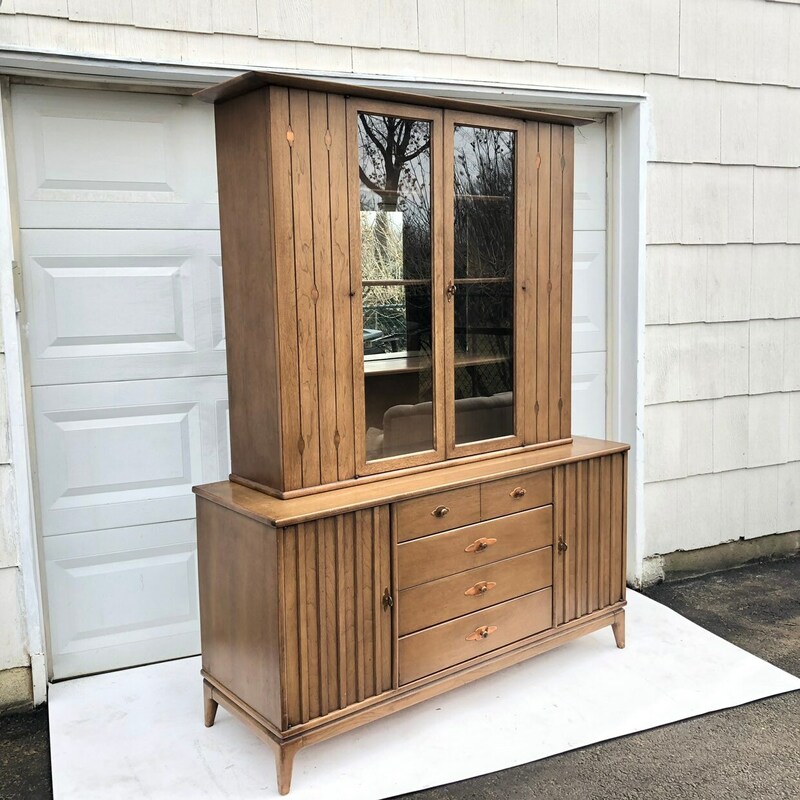 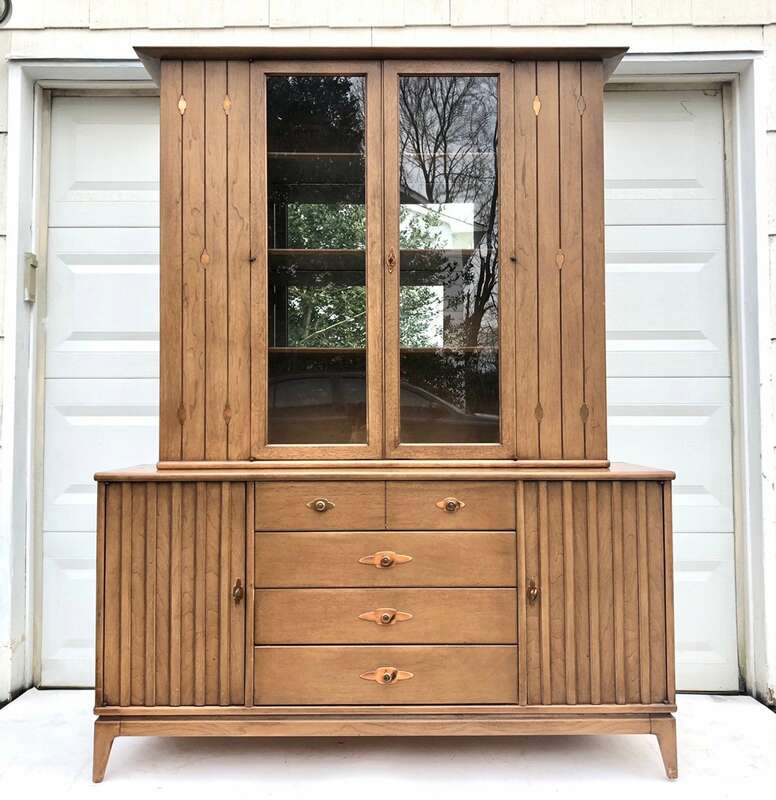 Quality 1960s construction and design by Broyhill makes this the perfect mix of style and storage. 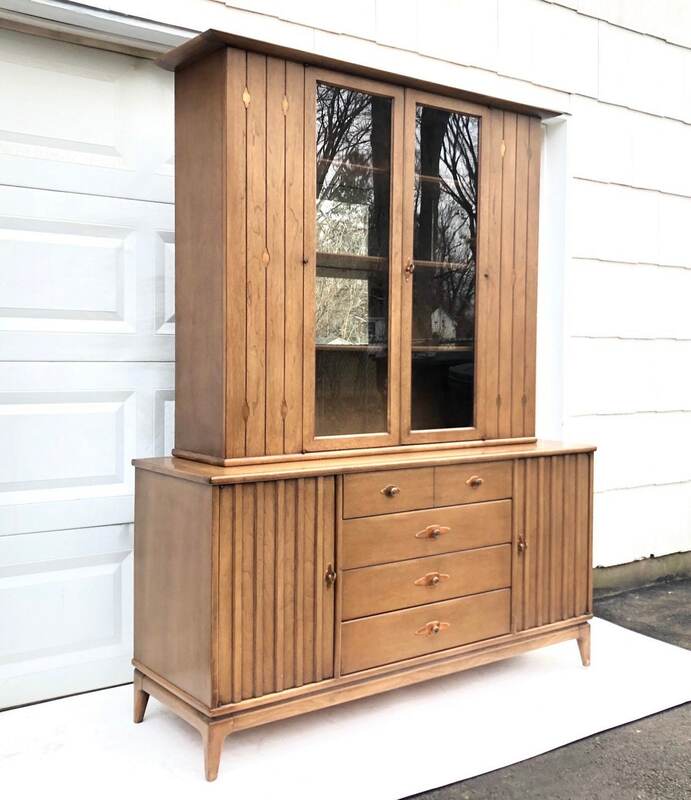 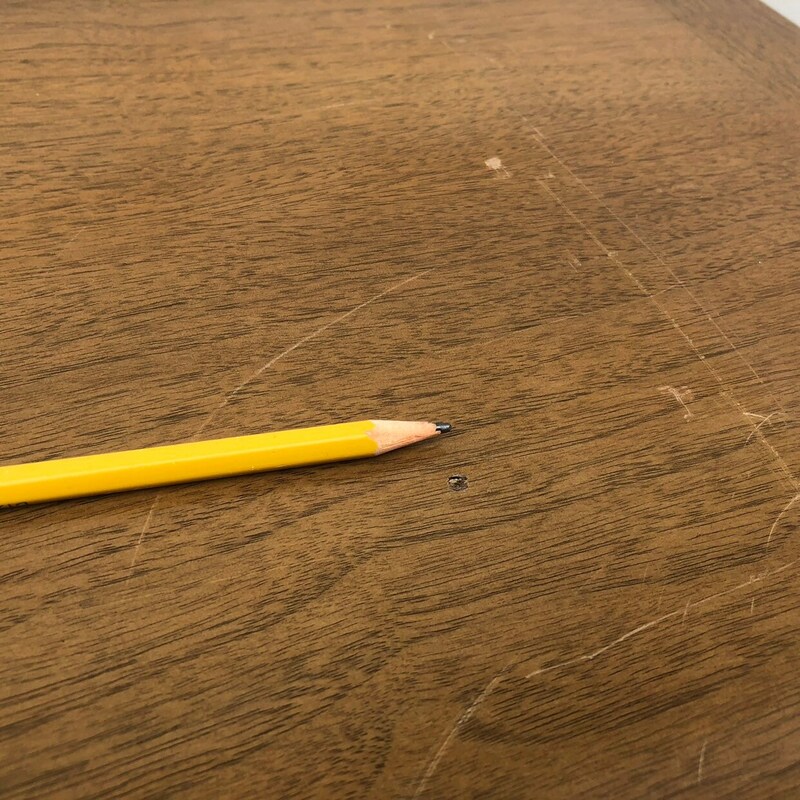 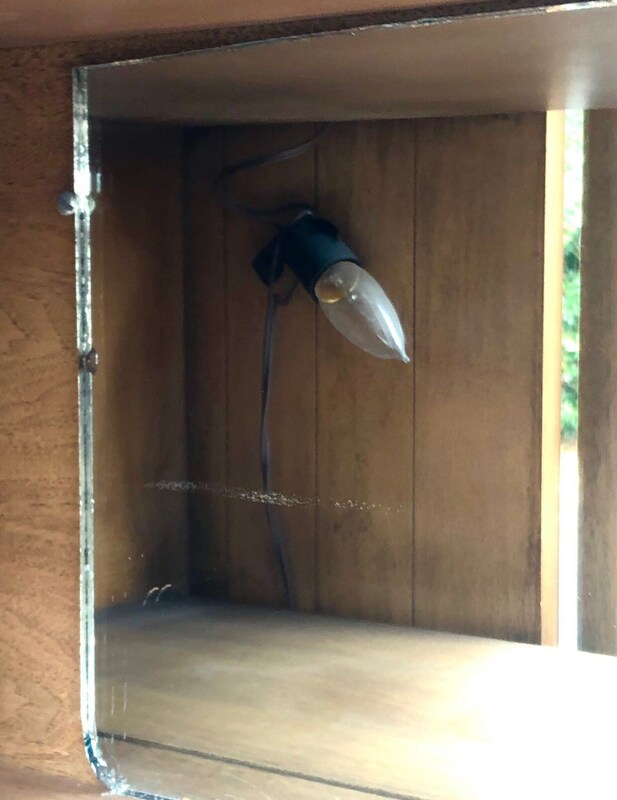 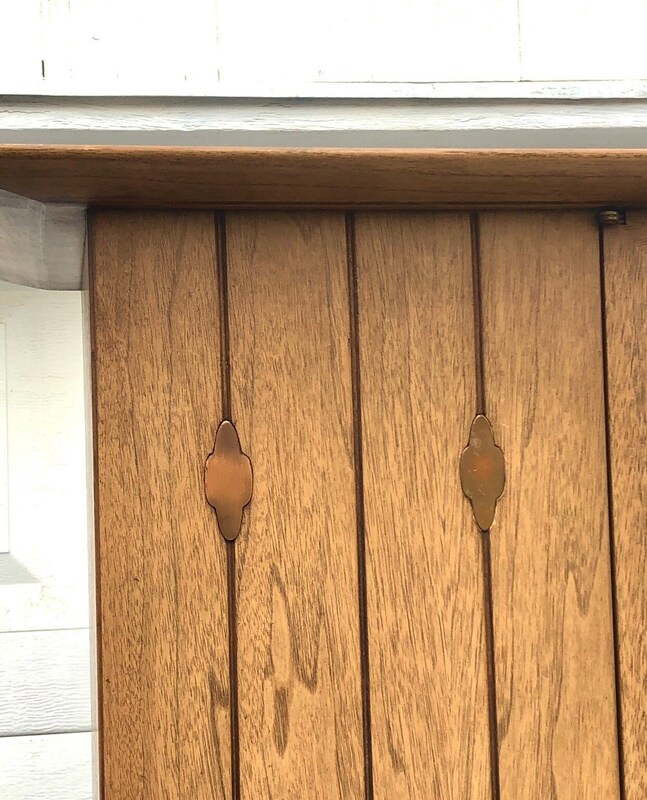 Condition: age appropriate wear, original finish worn/faded in areas, some scuffs/scratches, edge wear, the display top has been modified with mirrored back and interior lighting, as well as small screws securing the piece to the credenza base, the credenza base has some scratches & small drill holes- if you wanted to use without the topper in place you may want to refinish. 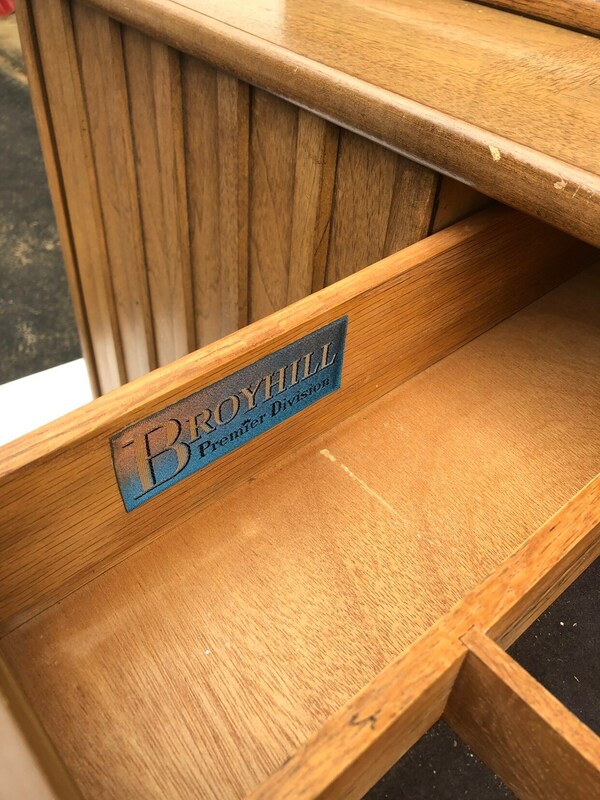 Contact seller for details.